Researchers from the University of Bern and Bern University Hospital have managed for the first time to differentiate human inner ear cells in a laboratory from somatic progenitors and to investigate their origin. This will make it possible to develop new treatment methods for hearing impairment in the future. About 5% of the world population suffers from hearing impairment. Disabling hearing loss has far-reaching implications for those concerned and society as a whole. Hearing loss in adults alone ranks among the five largest disease burdens in Europe and generates enormous socioeconomic costs. 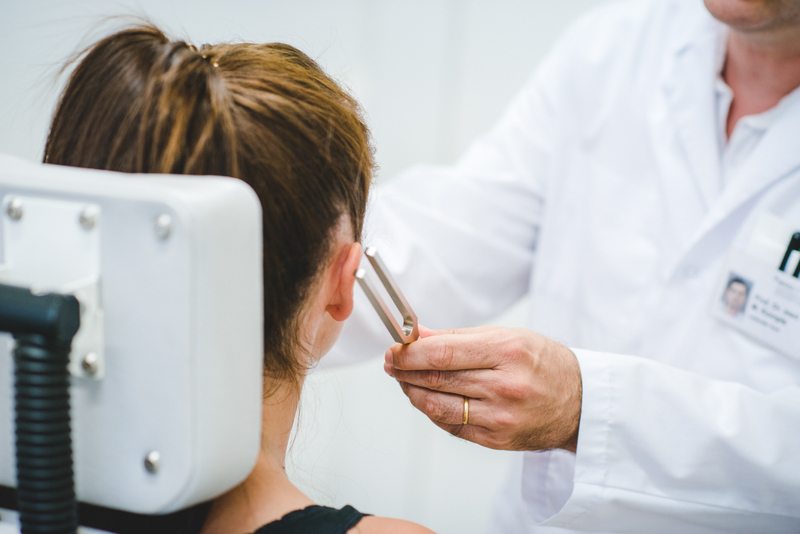 Hearing ability can be improved with hearing aids or cochlear implants, but to this day there is no causal treatment for hearing impairments. A group of researchers from the Department for BioMedical Research (DBMR) at the University of Bern and the University Department of Ear, Nose, Throat (ENT), Head and Neck Surgery at Bern University Hospital has now made a big step towards establishing new methods that will serve for the developing new therapy of hearing impairment. This was achieved in cooperation with other participants in the international project "OTOSTEM", which was sponsored by the European Union FP7 work programme. For the first time they managed to imitate the development of human “hair cells”, which are responsible for sound reception in the inner ear, in-vitro (in the laboratory). As a result, in the future it will be possible to try out new pharmacological treatment directly on human cells. The study was published in the journal "Nature Communications". Our ability to hear depends on the coordinated activity of two specialised types of sensory cells in the inner ear, more precisely in the cochlea. The so-called hair cells function as sound receptors by responding to vibrations which are caused by sounds. The hair cells release chemical messengers which in turn stimulate the so-called spiral ganglion cells. These cells form the auditory nerve, which passes the information on to the brain, where it is perceived as sound. These cell types are organized in a complex mosaic. This enables us to perceive different sound intensities and frequencies with unprecedented speed and accuracy. Hair cells and spiral ganglion cells form very early during fetal development, roughly in the 10th to 11th week of pregnancy, when they reach their definitive number. "We are born with about 15,000 hair cells and 30,000 spiral ganglion cells, and from then on their number only decreases," says Marta Roccio. Loud noises, infections, aging processes or also exposure through toxins afflict the sensory cells from then on. Because the cells cannot be replaced, their loss leads to a permanent hearing impairment. "In our study, we were able to show that much of what we already known from an animal models also applies to the human fetal development of sensory cells," says Marta Roccio. Thanks to this knowledge, the researchers were able to identify a small population of "progenitor cells" (similar to stem cells), which ultimately form the cochlear hair cells after several weeks of structural and functional differentiation. 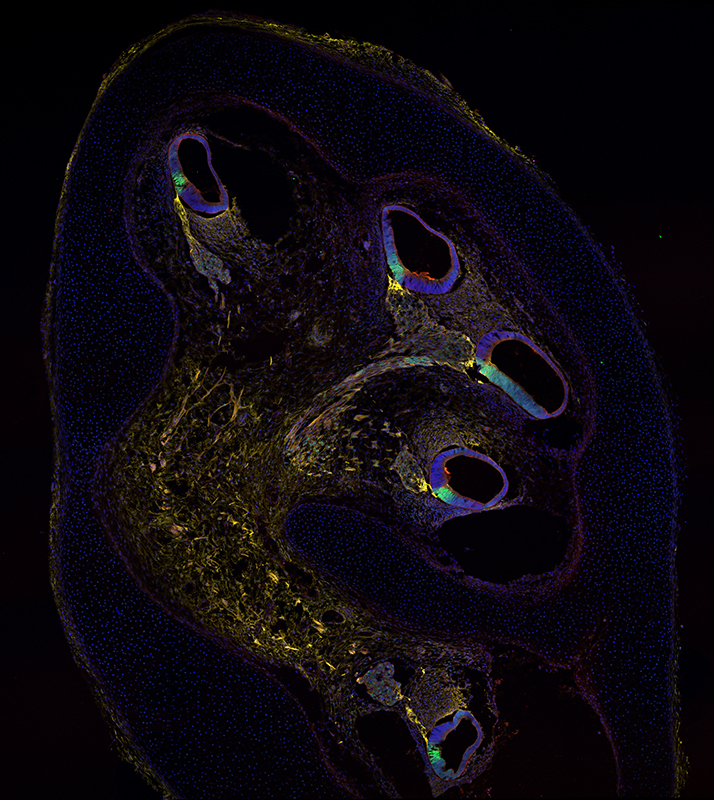 "We have developed a methodology to isolate these progenitors from the human fetal cochlea and ultimately optimize the conditions for in-vitro generation of functional hair cells in the laboratory," explains Roccio. For this purpose, the researchers used three-dimensional cultures, also known as organoids. "The results of the now published study constitute a unique template for future research projects in the field, in order to develop new strategies to combat neurosensory hearing loss," explains co-author Pascal Senn. Because the results would provide a "blueprint" for the generation of cochlear hair cells from other more abundant sources of cells such as pluripotent stem cells, adds Senn. This will pave the way for tests which are based on a patient’s own cell types and enable more individualized treatment.